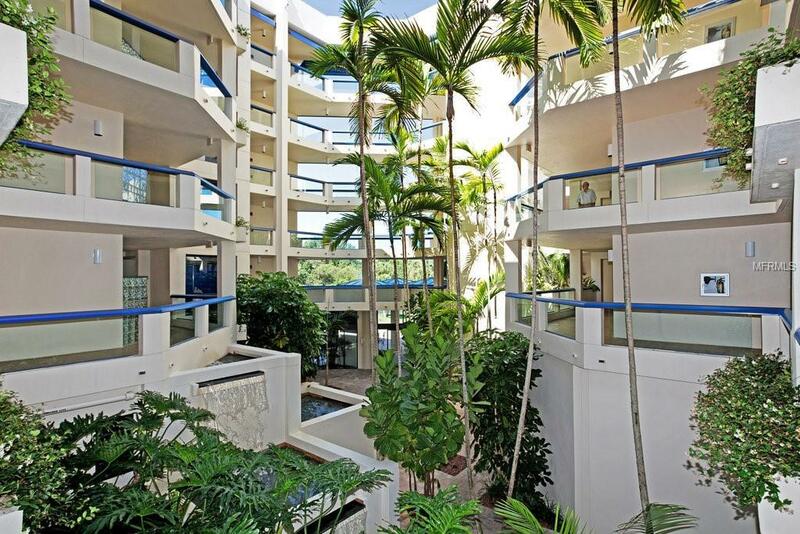 As you enter the secured lobby of The Atrium, you are immediately transported to a tropical paradise. 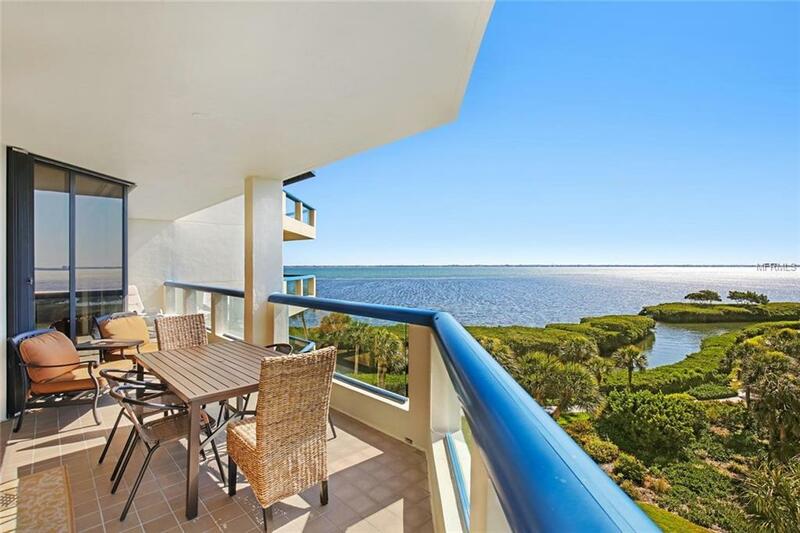 This tastefully renovated split floor plan combines the living areas with access to the terrace, perfectly positioned to view captivating moonrises and sunrises over the shimmering Sarasota Bay waters. The lights of the downtown skyline and sailboat regattas are all awaiting you. The master suite offers two walk-in closets, a Viking wall safe, sliders to the extended terrace and has new bathroom vanities, lighting, frameless shower, Toto toilet, pebble stone flooring, and an oversized tub. 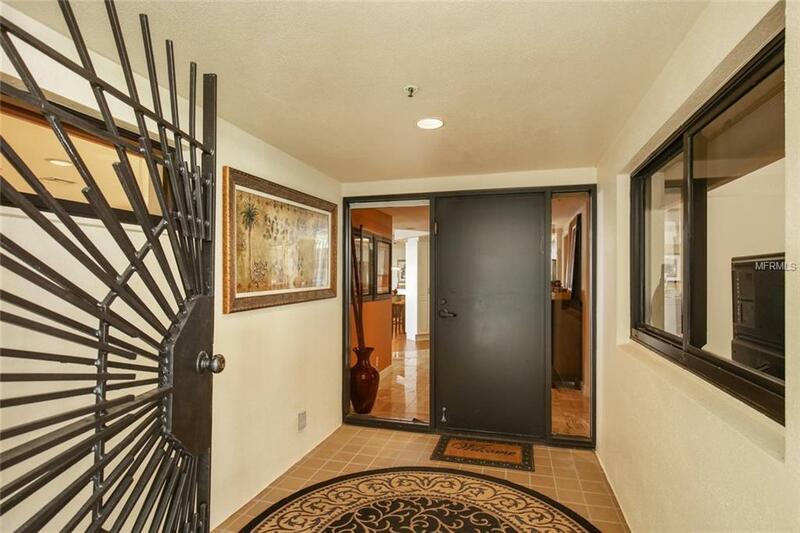 The centrally located kitchen has all new stainless-steel appliances, hardwood flooring and decorative tile backsplash. Home chefs have every convenience needed while viewing the Bay waters. All terrace windows and sliders have UV protection and hurricane shutters. Both guest suites have walk-in closets, sliders to the Atrium and share a Jack & Jill bathroom. Enjoy the convenience of a separate laundry room with storage and newer washer/dryer with steam and refresh settings. 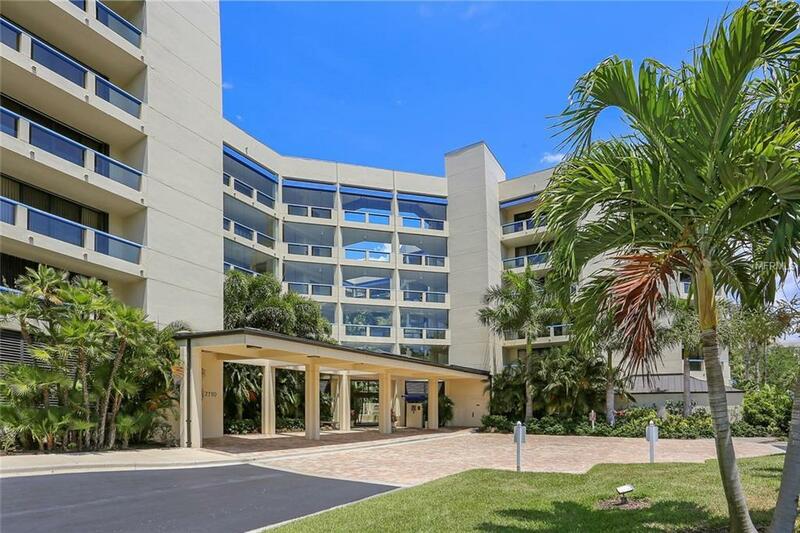 As a resident of the gated community of Bay Isles you will enjoy membership to the exclusive Bay Isles Beach Club, a relaxed gated beachfront retreat with cabanas, grills, volleyball, ice machines, kitchenette and facilities. The Atrium amenities also include 2 heated pools and hot tubs, har-tru tennis/pickleball courts, club house, a newer fitness room and a new kayak launch. Conveniently located close to St. Armands and downtown Sarasota. Pet Restrictions No Dogs Allowed. Cats Birds & Tropical Fish Only.